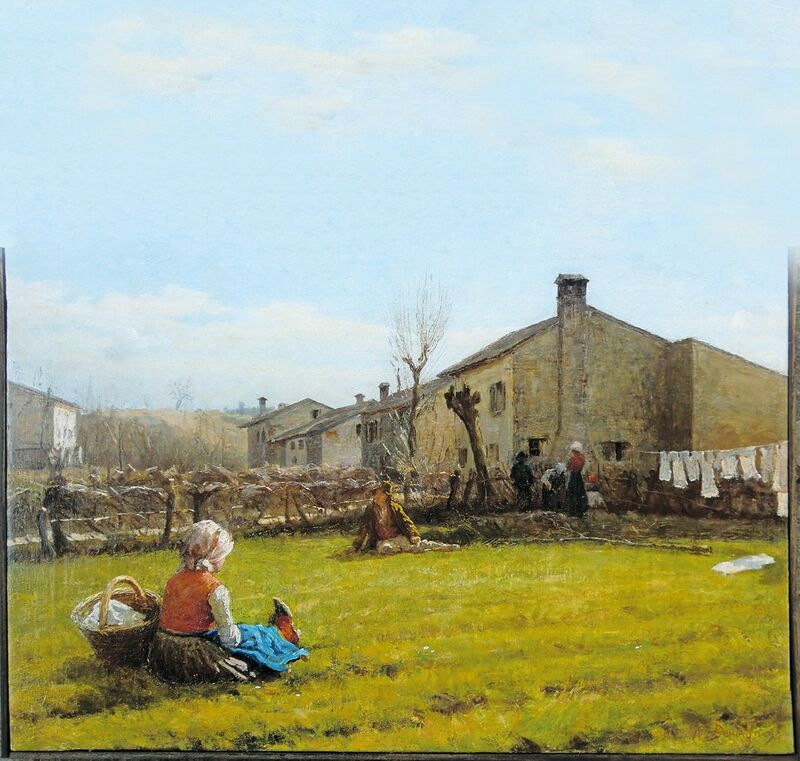 Noè Bordignon, Vita quotidiana a San Zenone, 1885 - 1890. Photo: Disclosure. From 4 September – 23 October 2016, in Villa Marini Rubelli – San Zenone degli Ezzelini TV, It's open for the public, the exhibition “Dal Paesaggio all’Arte” (from Noè Bordignon at today). The landscape of San Zenone preserves itself from the past to the present for unique art in their field, is located in the foothills of Pedemontana del Grappa between Bassano del Grappa and Asolo. For over a century they live and work permanently artists inspired by these places. Other painters, have learned about the beauty of the place, they came from is town for the ease to find pleasant subjects. The variety of panoramic views allowed to realize countless paintings many of which are now in museums, antique shops, private collections in Italy and abroad, in addition to being sold by the most important Italian and foreign auction houses. There are important monuments, resort towns known by the mass of people, but the shapes and colors of this environment, transported in the paintings, are particularly prized by collectors. 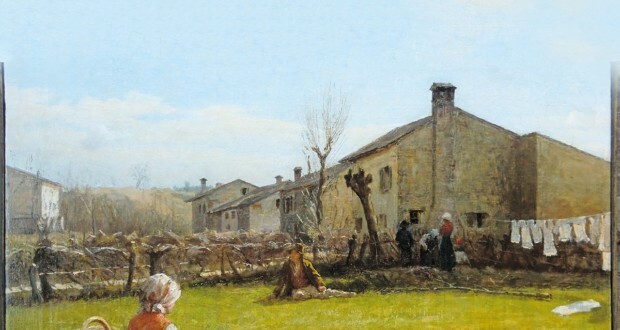 The San Zenone landscape will be represented in this exhibition with one hundred and thirty paintings by over eighty artists from around the Veneto and the neighboring region. You can admire paintings made in different styles and techniques that highlight the historical period in which they were made and the sensitivity of the individual authors. Some of the artists are: Giovanni de Min 1786-1859, Andrea Favero 1837-1914, Noè Bordignon 1841-1920, Vittorio Tessari 1860-1947, Teodoro Wolf Ferrari 1876-1945, Paolo Bonato 1892-1984, Francesco Rebesco 1897-1985, Bruno Gherri Moro 1899-1967, Fioravante Seibezzi 1906-1974, Federico Polo 1910-1983, Bruno Barbero De Montel 1920-1996, Angelo Gatto 1922, Dalma Bresolin 1926-2001, Angelo Fassina 1925, Pio Zardo 1935, Piergiorgio Rebesco 1936, Enzo Alberton 1937-2014, Lorenzo Viola 1938, Gianni Trevisan 1940, Angelo Sartor 1941, Toni Trevisan 1947 etc.